Looking for the perfect accompaniment to your Bremont watch, these Bremont Cufflinks are engineered stainless steel accessories with an orange knurled barrel which has been styled on the barrel of the MB range of watches. The cufflinks are approximately 13mm in diameter and 26mm in length from end to end. Buy your set of Bremont Cufflinks, click here! 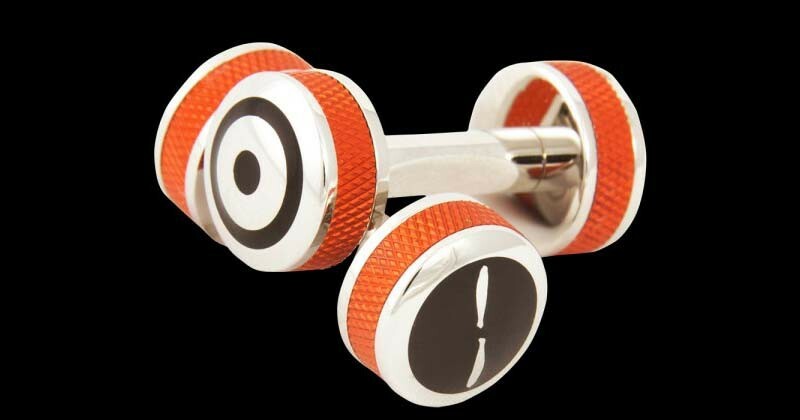 Bremont Accessories : Bremont Cufflinks with Orange Barrels 0 out of 5 based on 0 ratings. 0 user reviews.